RUCK N ROLL IN THE BREWERY! 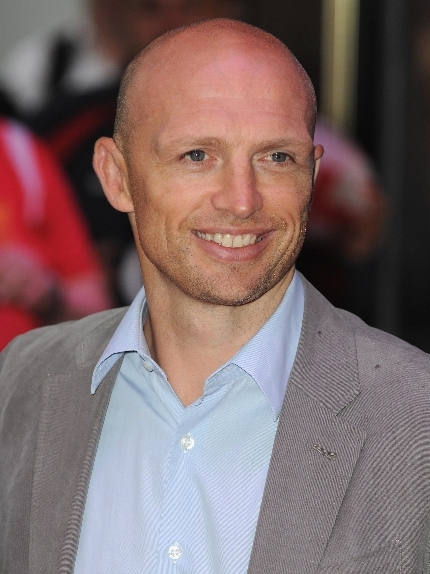 BDCI are delighted to announce that this year’s Festival Dinner speaker will be Matt Dawson MBE! Matt Dawson is one of England’s most capped players of all time and a key part of the England rugby team that won the 2003 World Cup, he’s now as well known for his media appearances from A Question of Sport to Masterchef. As a player, Matt played over 70 times for England, and famously his pass in the dying moments of the World Cup final resulted in the kick that won the game. He also captained England and played on three Lions’ tours. Since his retirement, Matt has developed two parallel careers: in media and in business. In the former he’s a regular commenting on live matches for BT Sport and BBC 5Live. He’s also one of the longest serving team captains on A Question of Sport. Previously known for his nifty footwork on the field, he also finished runner-up in Strictly Come Dancing. Matt won Celebrity Masterchef so has a keen interest in the provenance of meat and he has a sideline in food-related books and programmes. Matt applies lessons from the pitch and dressing room and combines them with his commercial knowledge to deliver messages on everything from staff engagement to leadership culture. As well as serious business insights he is also an accomplished and very entertaining presenter. This year’s BDCI Festival Dinner, on Friday November 2nd, has moved venues and will be held in the historic Grade 11 listed Whitbread Brewery building in the City of London, which will provide a fantastic new venue for what is undoubtedly the highlight of the year for the UK meat industry and is a great way for the industry to support BDCI. BDCI have kept the cost of tickets the same, as in previous years at £160. Tickets have already started to sell quickly so make sure you reserve your seats now! The Festival Dinner will start at 6.30pm with carriages at midnight. There will be the annual charity auction and for those that wish to party there will be a disco in an adjacent room after dinner and speeches, allowing those who wish to mingle and chat to remain in The Porter Tun room.